Rahul is the Copy Editor in MSC Knowledge Management & Marketing Domain. His areas of expertise include content editing, language training, and marketing content development. Rahul is the Copy Editor in MSC Knowledge Management & Marketing Domain. 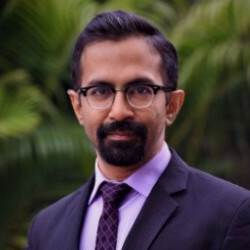 He is a content specialist with over 10 years of experience gained through assignments involving nonfiction print publishing, educational publishing, digital content development, features content development, and features and news reporting in India. His areas of expertise include content editing, language training, and marketing content development. He specialises in reshaping content for readability and helps readers get to the point, fast. Rahul also conducts training sessions and workshops on language within MSC. Rahul has worked with every domain within MSC, helping the teams create effective collaterals that range from short blogs to large-format reports across a range of sectors, including content marketing, inclusive finance, banking, G2P, digital financial services, research and innovation, and business development.